When someone else seeks something possessed by oneself, and one is then able to bestow it swiftly and with kindness; ones arms will be broad and facile, and one will be a leader of the world. 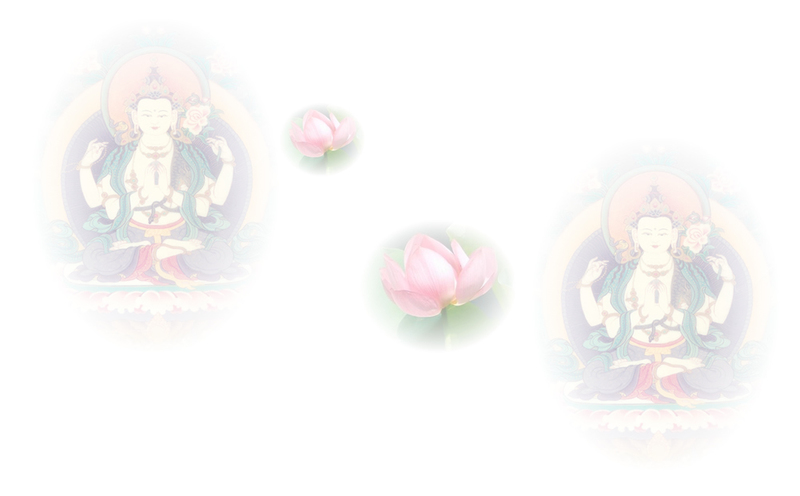 When those formerly close and affectionate become estranged, the bodhisattva causes them to be able to come together. This brings the mark with secret organ retracted into the abdomen, and the constant possession of robes reflecting modesty and decency. From giving furnishings for buildings and halls, which are fine, soft and pleasant in color, one brings as a karmic result body of celestial appearance, smooth and soft, emanating a subtle and sublime radiance (like refined gold). Through providing unsurpassed protection, and according in a principled manner with venerable and seniors, one evokes as a result a single hair in each hair pore. And one’s face will be adorned with the forehead curl. By speaking good and pleasing words, while being able as well to accord with correct teachings, one’s upper body becomes like that of the lion, and shoulders will be well rounded like a banyan tree. From caring for the sick and providing physicians and medicine, or from ordering others to provide them care and protection, one thereby gains the fullness in the area below the axilla and the thousand taste channels distinguishing the hundred flavors. Through service in Dharma endeavors benefiting self and other, and through always being able to act as an upright leader, one comes to possess the uṣṇīṣa crowning the skull, and one have a large body. On account of being able to speak skillfully for a long period of time, words which are true, lovely, gentle and imbued with goodness, one gains the Brahmin voice possessed of eight characteristics, along with a tongue which is long and broad. Through always and continually uttering words that are ultimate truth, one gains the fine marks like those of the lion. And one’s countenance appears square-set and pleasing to behold. Through behaving with respect and service in an appropriate manner, one’s teeth are white, even, and of definite superiority, resembling in their appearance a strand of real pearls. Having become accustomed to words that are the truth and avoid divisive speech, one thereby comes to have forty teeth, which are even, smooth, solid, closely set, and immaculate. From looking upon beings with a gentleness, free of covetousness, hatefulness, or delusion, one’s eyes will be sparkling blue, with eyelashes like the king of the bulls. In a manner such as this, one explains in brief the marks of the great man as well as their causes. The wheel-turning king’s and the Bodhisattva’s exquisite adornments are matters of which you should be aware.